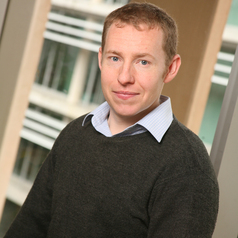 Andrew Phillips' research interests focus broadly on the evolution of the global state system from 1500 to the present, and concentrate specifically on the challenges that 'new' security threats such as religiously motivated terrorism, the spread of Weapons of Mass Destruction, and state failure pose to the contemporary global state system. Dr Phillips' book, War, Religion and Empire: The Transformation of International Orders (Cambridge University Press, 2011) examines the evolution of international orders in Europe, East Asia, and the Islamic world from the Protestant Reformation to the present. He is also the author (with J.C. Sharman) of International Order in Diversity: War, Trade and Rule in the Indian Ocean (Cambridge University Press, 2015). Additionally, Dr Phillips also has works published or forthcoming in journals including European Journal of International Relations, International Studies Quarterly, Millennium, Review of International Studies, Australian Journal of International Affairs, National Identities, and Security Challenges. Prior to undertaking his postgraduate studies in international relations, Dr Phillips also worked in the Department of Prime Minister and Cabinet.